The gifts of understanding- a kind word, a home drawn picture or a hug from your child means more than anything you could buy. Our children enjoyed their St Andrew’s celebrations thanks to our volunteer piper Colin who pipped for the children in our Centre both morning and afternoon. The children had a visit from Colin the piper who played for the children. The children also got an opportunity to play the chanter, dance and sing. The chanter is a pipe played with two hands. It produces the melody and contains either a single or double reed. … Drones are long tubes with single reeds. When a player starts to play the bagpipes, the drones emit one continuous sound that the melody is played over with the chanter. Back in the playroom the children decorated their space with Scottish flags and tartan. At the craft table they learned how to produce paper weaving and painted some Scottish Flags. Thank you so much to our families past, present and future for attending our Festive Fun Day. It was an amazing community event and great to see everyone having fun. Thank you to Mr and Mrs Claus and to all the helpers on the day and all the parents and families for your kind donations and help and also to our wonderful staff team. The event was such a success due to all your continued support. You have helped us to raise more than £1,400 with more money coming in. This will help with our festivities for our children. Thank you once again. We are holding a festive fun day at Arthurlie on Saturday 24th November. There will be CHRISTMAS CRAFTS, BOUNCY CASTLE, SANTA, plus so much more. We have been given more loose parts for our outdoor space thanks to Bellway Homes. Bellway Homes have given us more loose parts for our outdoor learning space. The children have been linking the pipes and using the pipes in their play. The water bottles have been used to fill water from the muddy puddles then use in their mud kitchen. Thank You Impact Arts who worked with our children to make a Fairytale Garden in our Centre. Thank you to the Young people on the Creative Pathways employability programme in Barrhead who worked with our children on Wednesday afternoon to make artwork and plant greenery for their garden. This marked the end of a 12-week block of Creative Pathways in Barrhead, where young people have worked with artists Rosanna, Portia and Hannah, excelling at creative writing, arts and crafts – while learning more about the environment, their community and getting help to find work. Last month, the young people presented their ideas to children, parents and our Centre, before creating a fairy garden to stay at the nursery for everyone to play with. The children have been learning about the Dangers of fire and what to do in the event of and emergency. They have also been learning about the safe use of fire in the Woods. They enjoyed trying to use the fire steel, and get a spark. Christmas Hamper Appeal – We are looking for donations of food packets. At Woodland Wonders the children have been learning about the Danger of fire, and the positive use of fire in the woodlands. they have been learning who to ask for help in the event of a fire and shared photos of the danger. They have contributed to discussions about what we use a fire for in the woods. We also used a fire steel and all the children had an opportunity to try for a spark. Thank you Bellway Homes for donating the pipe for our oudoor space. Our children have started to use it in their play. I wonder what they will do with it? We are looking for the following items for our Christmas Hampers. The children were having fun learning through play during their Halloween activities. letters are being given out today to parents which gives details of how to log onto book parent consultation appointment. The children researched, designed and made some activities and games to play during their Halloween Experience Day on Wednesday. Hammering nails into pumpkins is a fun hand-eye coordination activity to do this Halloween. The children have been using props to retell the story of “Room on the Broom” and sing Halloween Songs. 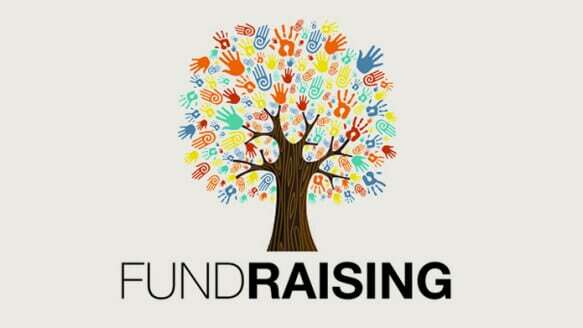 We are holding a Fundraising Group meeting on Thursday, 1st November at 9.00 am.